4BC Drive: Is there a shortage of qualified truck drivers in Queensland? Trucking companies say they have jobs, but can’t fill the positions!Queensland trucking companies report that they are finding it difficult to recruit enough drivers. Project Manager at Team Transport and Logistics, Jason Osborne, says his company has plenty of work available. “The work is coming in and we are struggling to fill the positions,” he said. Mr Osborne says his company is looking for owner drivers, with basic equipment and experience, to work locally, in Brisbane, the Gold Coast and the Sunshine Coast. “In recent years, Brisbane City has been quiet and a lot of the work has been project work, like mining, in Mackay and out West in Chinchilla, Dalby and Roma. But, that’s starting to turn around,” he said. “There’s a lot of high rises going up in Brisbane City, the housing boom is starting to hit, there’s houses being built, so now we’ve got the work that used to be around five or six years ago, running timber, plasterboard, glass and scaffolding out to these work sites,” Mr Osborne said. He says the extent to which the industry is regulated is probably the cause of the driver shortage. “The governing bodies have regulated it highly to avoid accidents and that is very hard to manage, especially for people running one or two trucks. They are Mums and Dads, they are looking after their kids, and they have to run their business with all this red tape,” he said. The Queensland Secretary of the Transport Workers Union, Peter Biagini, says there are other forces at play. He says the major clients of the trucking industry don’t pay enough to allow for fair wages. 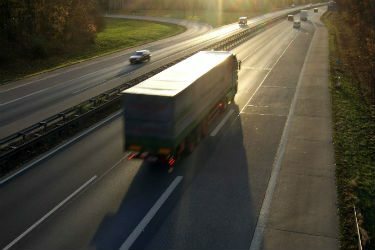 “They have squeezed the rates down so low that a lot of these transport companies can’t pay the rate that is sustainable for the individuals to run a vehicle,” Mr Biagini said. “The margins are so low nowadays. That’s because of the clients, companies like Coles and Kmart,” he said.